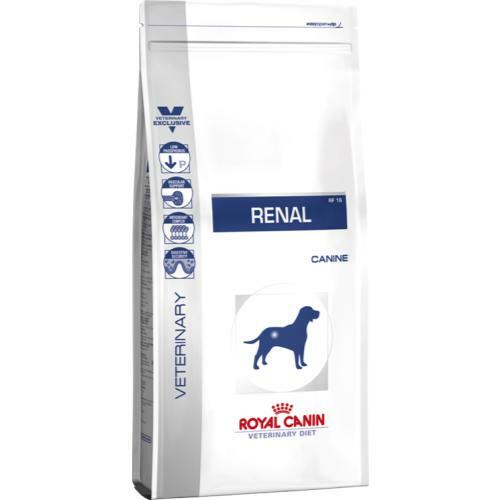 Royal Canin Veterinary Renal RF 14 is a nutritionally complete dog food designed by experts for pets with renal insufficiency and to minimise the risk of kidney and bladder stones. RF 14 is made with a low phosphorus content and high quality protein for dogs afflicted with either chronic or temporary insufficiency, and minimal calcium and vitamin D for those who are susceptible to urate or cystine urolithiasis. 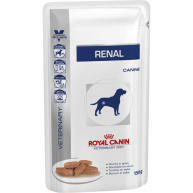 Enriched with a unique blend of nutrients which increase the alkali content in the urine, Veterinary Renal RF 14 also works to improve your dog’s renal filtration, in turn helping to maintain a healthy vascular system. 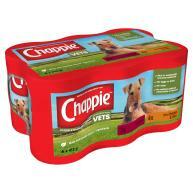 What’s more, this bespoke recipe helps to promote optimal digestion and is loaded with antioxidants, helping to keep your four legged friend’s immune system fighting fit! 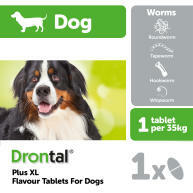 We recommend you seek an opinion from a veterinarian before beginning this diet. Please do not feed pregnant or lactating dogs, puppies, or dogs with a history of pancreatitis or hyperlipidaemia on Veterinary Renal RF 14. 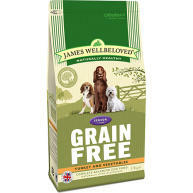 Rice, maize flour, animal fats, maize gluten, soya protein isolate*, hydrolysed animal proteins, beet pulp, minerals, egg powder, vegetable fibres, fish oil, soya oil, fructo-oligo-saccharides, green tea extracts (source of polyphenols), marigold extract (source of lutein). Nutritional additives: Vitamin A: 11600 IU, Vitamin D3: 1000 IU, E1 (Iron): 46 mg, E2 (Iodine): 4 mg, E4 (Copper): 11 mg, E5 (Manganese): 59 mg, E6 (Zinc): 196 mg - Preservatives - Antioxidants.